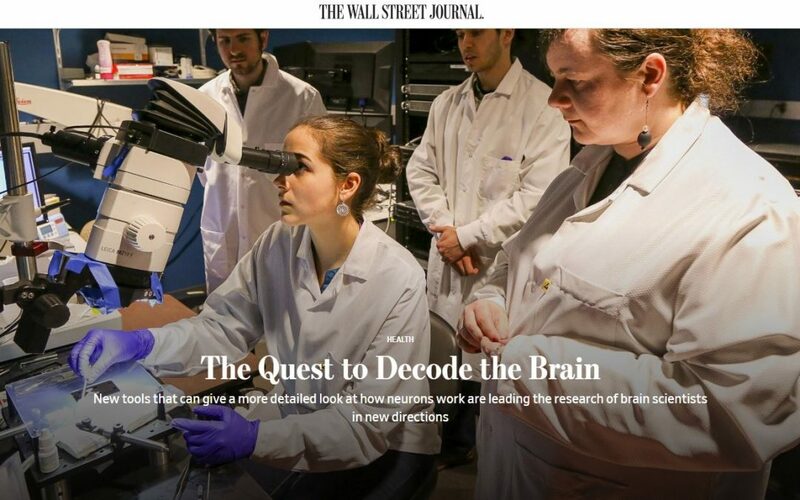 The Allen Institute for Brain Science was featured in the June 15 Wall Street Journal article, “The Quest to Decode the Brain.” Micropositioning expertise from New Scale Technologies helps make this work possible. Scientists hope these deeper data dives will help further the understanding of how networks of neurons work together during learning, memory, vision and movement. That could lead to better therapies for patients with brain-related diseases like dementia, epilepsy and Parkinson’s disease. 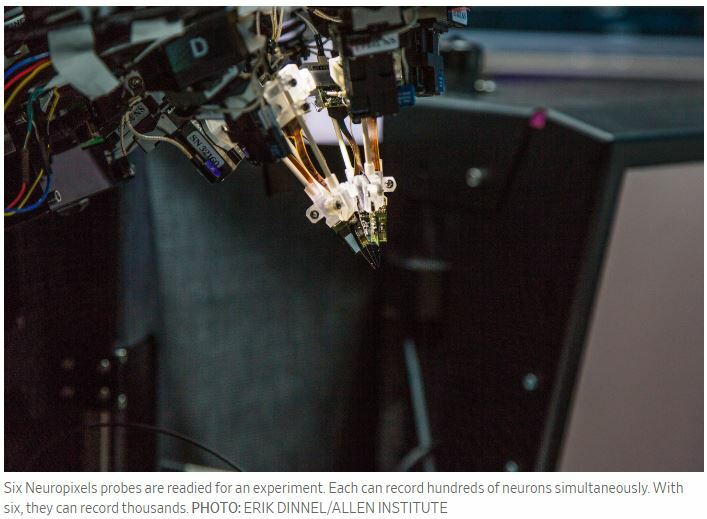 The researchers use New Scale’s MPM Multi-Probe Micromanipulator System to position their miniature neural probes. M3-LS Linear Micro Stages in the MPM System allow multiple axes of precision motion in extremely small spaces. New Scale Technologies develops and manufactures the smallest and most precise closed-loop positioning solutions available. Our “all-in-one” M3 Smart Modules – piezoelectric motor systems and microstages with built-in controllers – are easy to integrate into smaller, smarter imaging systems, scientific instruments, medical devices, aerospace and defense systems and more.